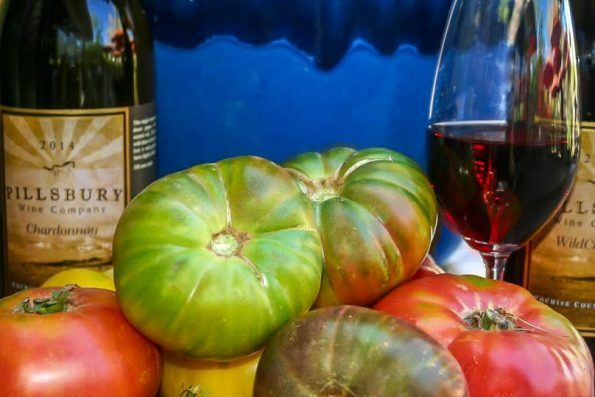 Gertrude’s, the highly touted full-service restaurant located just inside the Desert Botanical Garden, will be hosting the Flavors of Summer wine dinner featuring garden fresh tomatoes by Carl Seacat, Seacat Gardens, and Arizona wines by Sam Pillsbury, Pillsbury Wine Company, on June 3 at 6:30 p.m. The dinner costs $50++ per person. A credit card is required to reserve a space. Call 480.719.8600 for reservations. Pillsbury Wine Company produces 14 varieties 100% Cochise County Arizona wines under the Pillsbury Wine Company label at Sam Pillsbury’s 100-acre Willcox Bench Vineyard and Winery—mostly Rhone blends. They have won gold medals and some of the highest scores for any Arizona wines, currently named Best Local Winemaker by Phoenix Magazine, voted Best Arizona Winery by Arizona Foothills Magazine, and named “one of the rising stars of the Southwest” by Wine Spectator Magazine. Gertrude’s offers diners top-quality seasonal menus and libations that showcase local ingredients from artisans and farmers. Gertrude’s dining experience pairs delicious cuisine with lush desert ambience. Garden admission is not required to dine at Gertrude’s. Reservations can be made on Open Table (www.opentable.comfollow) or by calling 480.719.8600.